A 24C Special Local Needs label has been approved for New Jersey to increase the labeled rate of Prefar 4-E to 5 to 9 quarts per acre. Excellent safety has been observed when labeled crops have been treated with the higher rate. Use of the higher Prefar 4-E rate improves control of susceptible annual broadleaf weeds. 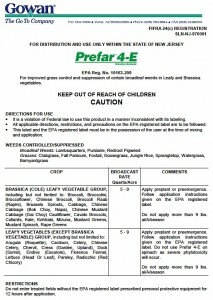 Note that annual broadleaf weeds NOT controlled by Prefar 4-E, including galinsoga and common purslane, will NOT be controlled by the higher rate. 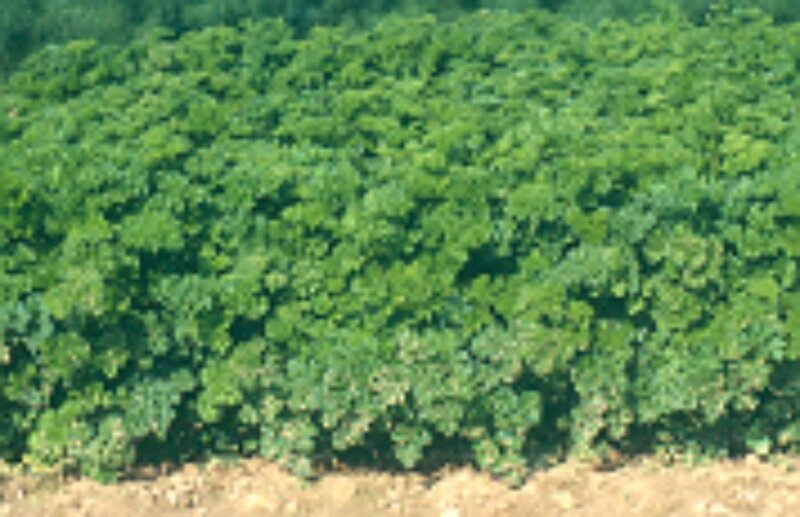 Harvest efficiency and yield of most crops, including parsley, is improved when the crop is weed free. Apply Prefar 4-E pre-emergence to the weeds after seeding or transplanting and incorporate (activate) with rainfall or overhead irrigation the same day. When used under plastic mulch, form the raised bed, apply Prefar 4-E and cover the bed with plastic mulch. Condensation under the mulch will active the herbicide. The use of water, rainfall, overhead irrigation, or condensation has resulted in better and more consistent weed control than mechanically incorporating Prefar 4-E with tillage equipment.